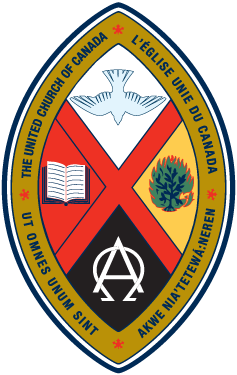 Since its creation in 1925 The United Church of Canada has developed from an inclusive perspective. We are also aware that our Quebec society lived through a period in which it sought to detach itself from significant religious control. Throughout the 1960s, the Quiet Revolution recognized the importance of a secular state and government, as well as public services and institutions that serve civil society. The separation between state and religion (whatever religion it may be), is essential for us all and we support it unconditionally. After more than 50 years as a clearly secular state, we wonder why the Quebec government now fears the personal religious expression of individuals who represent the state. Why would someone receiving services from our public institutions consider an employee wearing a religious symbol to be promoting their religion and therefore unable to carry out their duties in a professional manner? We do not believe that the people of Quebec will suddenly adopt new religious views after seeing someone wearing religious symbols. We trust that Quebeckers can make their own decisions when it comes to their personal beliefs. In today’s open and democratic world, the sources of our inspiration and influence are diverse. It is precisely this open and democratic culture that we must maintain and nourish. Exclusion takes many forms. We believe that a prohibition on wearing religious symbols for some employees of public institutions sows division instead of weaving a stronger social fabric. Some religious symbols are deeply rooted in the faith of a person and cannot simply be abandoned for eight hours of the day. Who leaves their values and principles at the door of their workplace each morning? As a people of faith, we do not, and we should not be asking others to do so. We must all carry out our duties with due respect, equally and to all. Rather than excluding professionals who wear religious symbols, we should evaluate those who serve our public institutions on the basis of their ability to effectively carry out their duties. After all, who is to say that such an employee does not find inspiration for the work they do for others at the root of their faith? Our defensive actions prevent us from deepening this expression of our humanity. Mutual enrichment through diversity, which we all share in and work towards, is a key commitment that is lived out within the United Church as well. The subtleties of our own statement on Bill 21 reflect the ongoing conversations amongst our members and in our communities. The United Church of Canada has Francophone roots in Quebec that go back to 1860; the oldest francoprotestant church in Quebec is a United Church situated in Belle-Rivière. It is as francophones, as Quebeckers and as protestants that we invite the Quebec government to celebrate its diversity within its common francophone culture. We ask the government to trust the people of Quebec to know the difference between a person living out their faith and the secular service provided by the state. The lessons from the Quiet Revolution have helped Quebec become a progressive society that is open to the world. Let us not adopt measures exclusion that impoverish this openness. United Spirit Camp is a one week volunteer-led camp for children and youth and it is one of the ministries of Nakonha:ka Regional Council. The United Spirit Camp is looking for campers and youth over 16 to be counselors at this one-week-long sleepaway camp. br>Our theme this summer is “Radical Welcome” and we cannot wait to meet you! The General Council Nominations Committee has launched a call for nominations for several vacancies. People across the church are invited to express their interest, or nominate others who have the gifts to serve well in these leadership roles. The Nominations Committee welcomes hearing from anyone, and particularly encourages those from groups which have been traditionally marginalized in our church, including (but not limited to) youth and young adults, Indigenous and racialized members, those active in francophone ministry, and people who identify as disabled. You can find United Church job and volunteer opportunities here. Check back regularly! Join us at Plymouth-Trinity for a family-friendly worship experience. We have a children's corner in the sanctuary with craft supplies and helpful volunteers. Some Sundays there is also a 30-minute children's programme during worship-time for kids of all ages.